Last Week: Nailed it. Friday didn’t build enough, saturday there was no wind, and Sunday there was most likely enough wind up at Pt Betsie. Monday went off at Little Sable Point after some thunderstorms came through around noon. The sun came out and it was on! Then some clouds moved in again a little later and the wind came down a bit, but as soon as the sun came out after the clouds, it blew for the remainder of the afternoon. Today: Last night it looked like there would be a good setup for a NW thermal to develop today in Muskegon and Grand Haven. Now it looks like the wind will top out around 11 knots. My advice is to grab a Corona and watch the sunset! Saturday: Not looking good. I don’t even think any wind at the points. Sunday: Forecast looks good for a strong south wind on Lake Michigan. It should be good from Grand Haven north anywhere the wind direction to the beach would be side to side on. 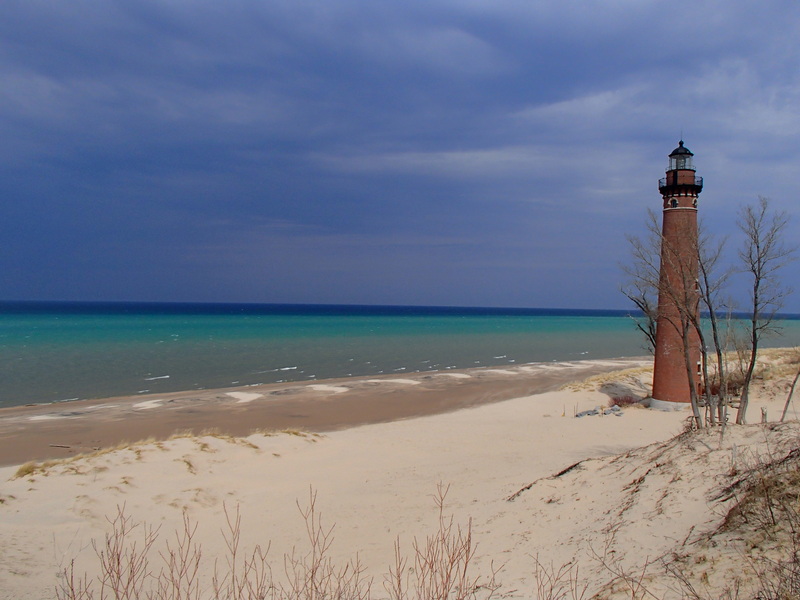 Some spots I would check out are North Shore Grand Haven for a big kite session, North Muskegon State Park, Medberry Park, Meinert, Ludington and Frankfort. The points might be gusty and or side off. I’ll check in and comment Saturday or Sunday if things look like they are changing. Water is warming up barring a upwelling of lake water. Summer is here! Thanks for your post. Always look forward to it. Let me know your thoughts this evening or am. I drive up from Indiana and I’m not sure if I want to muskegan or L sable Tmmro. Figure if it’s cloudy it will be side off at LSP. But if sunny it will be great like mon? Curious if you went out Sunday and how it was? I missed your comment Saturday.